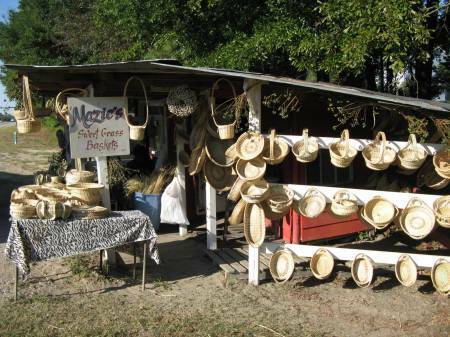 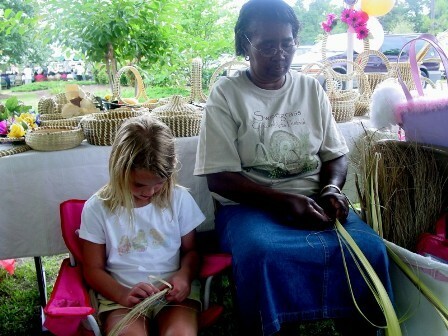 Coil baskets of native sweetgrass and pine needles sewn with strips of palmetto leaf have been displayed for sale on stands along Highway 17 since the 1930s. 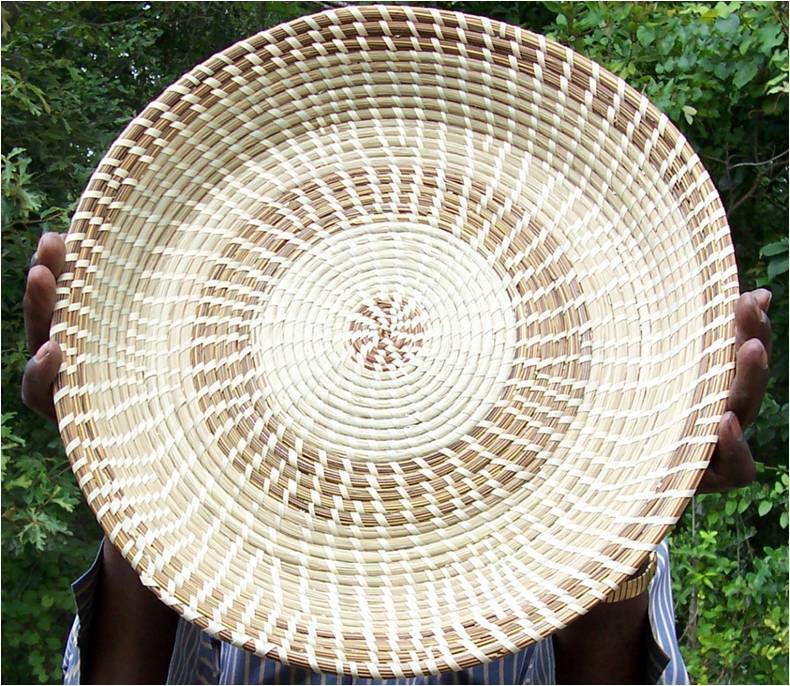 This craft, handed down in certain families since the 1700s, originally was used on plantations in rice production. 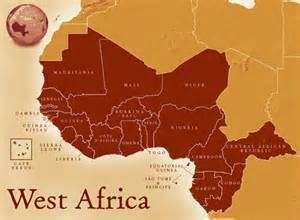 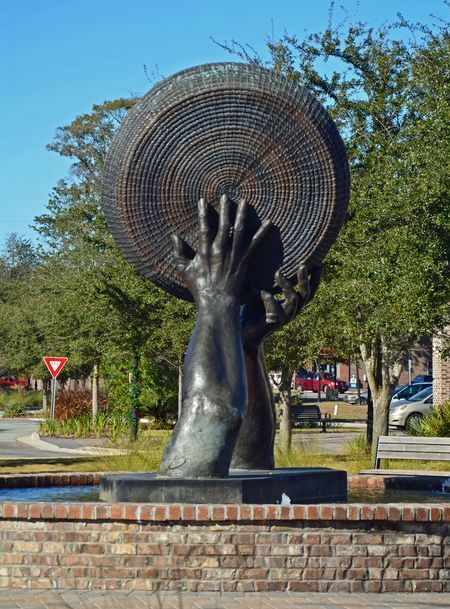 Unique to the lowcountry it represents one of the oldest West African art forms in America. 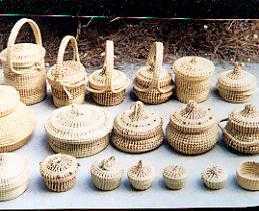 Town of Mount Pleasant Historical Commission, “Sweetgrass Baskets,” Mount Pleasant Historical, accessed April 21, 2019, http://mountpleasanthistorical.org/items/show/67.